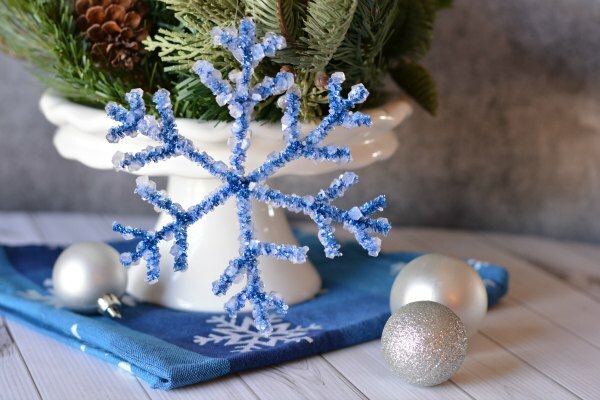 You are here: Home / Parents / Make your own Crystal Snowflakes! Grow a snowflake in a jar! It’s not magic it’s science. As you learned from our Snowflakes are as unique as your fingerprint blog that there are no two snowflakes that are alike. 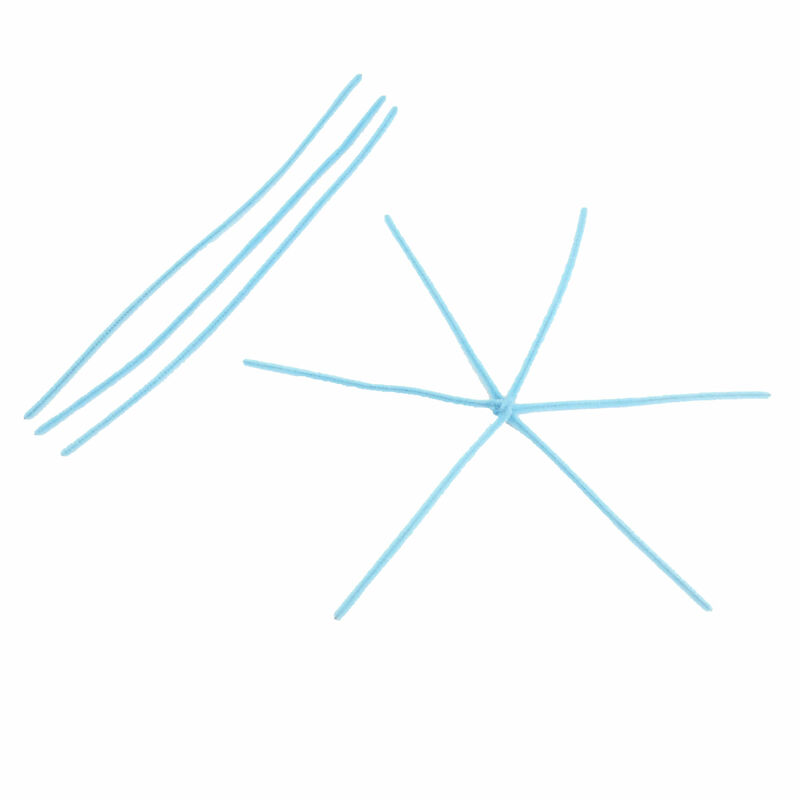 In this blog learn about how the crystals for the snowflakes are formed in the clouds. And learn a little bit about water molecules, and broax. This is a great way to create a unique ornament and a fun way to teach Next Generation Science Standard chemistry, and meteorology lessons. 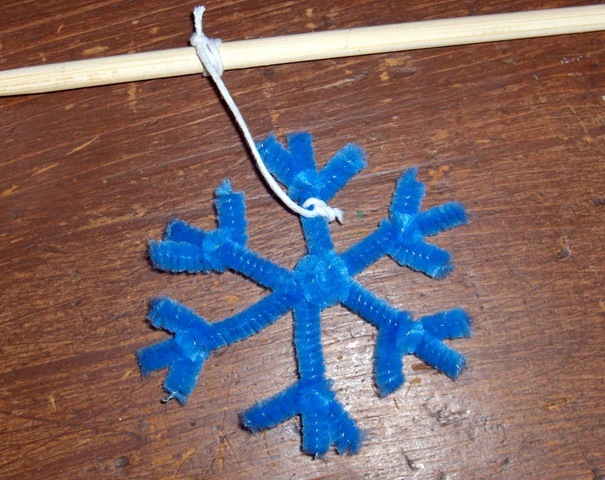 For families this is a great way to make original ornaments on a snow day. 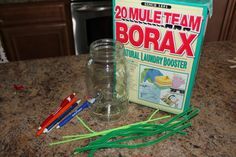 Borax – you can find these in the laundry section as 20 mule team borax laundry booster. NOT borax soap! 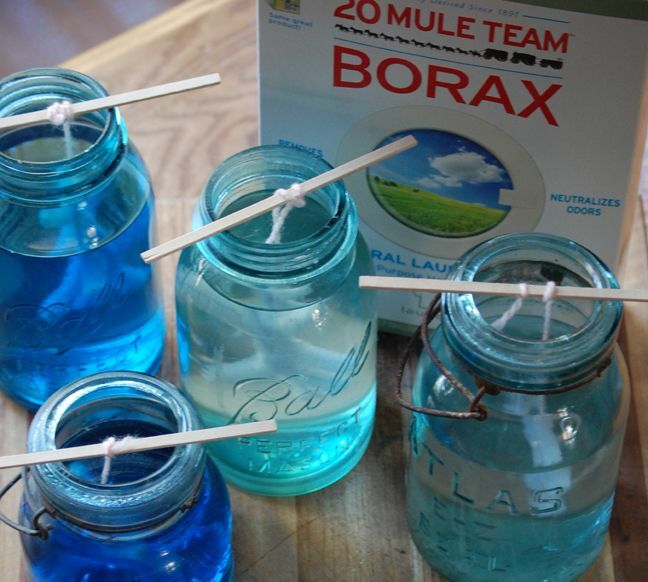 Mix borax into the water one tablespoon at a time. 3 tablespoons of borax/cup of water. Stir until dissolved. *optional: add food coloring, also don’t worry if there’s powder at the bottom settled. 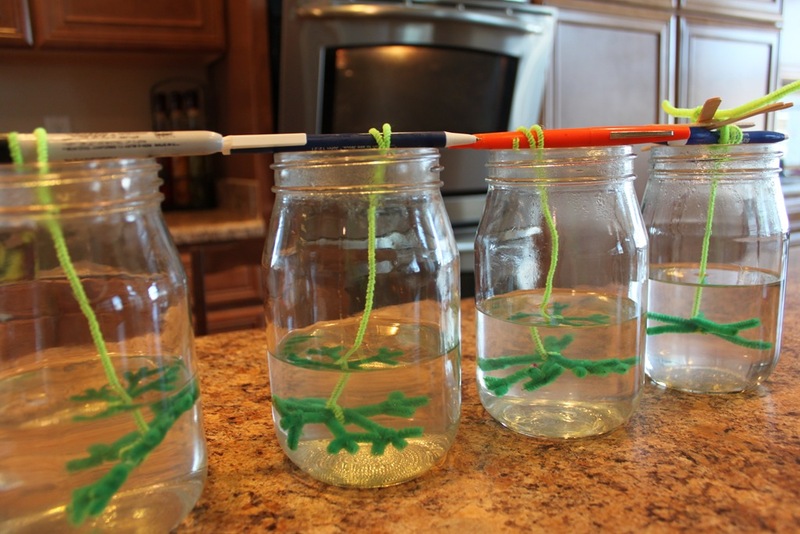 Insert the pipe cleaner on a string into the jar and rest the pencil on top of the jar. Wait 12 hours. What is Borax? Borax is like a crystal. Every crystal has a repeating pattern based on its unique shape. There’s many variations or differences in shape. Salt, sugar, and epsom salts are all examples of crystals. Salt crystals are always form a cube shape while snow crystals form hexagons. How does this work? Hot water holds more borax crystals then cold water. Water molecules when heated up move away from each other and make room for more borax crystals to dissolve. When no more of the solution can be dissolved you’ve reached saturation. When the solution cools the water molecules move closer together again.